I went out on Geographe Marine’s Kerra Lyn yesterday. This lovely “ship” is 20m long, and provides an excellent platform for whale watching. 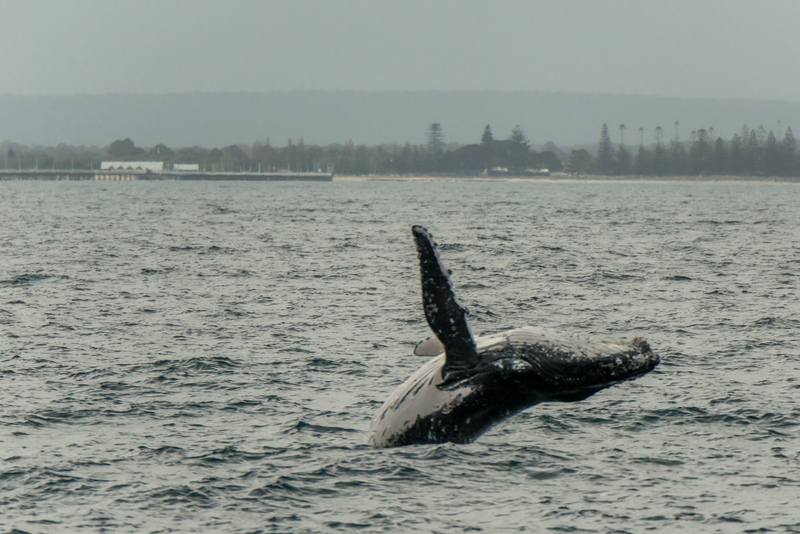 Yesterday was a bit choppy, and cloudy, but the whales more than made up for it. A pod of four were breaching, lunging, tail slapping etc all afternoon. They hung around the Kerra Lyn often coming right up close. This image has the Busselton Jetty in the background. This entry was posted on September 25, 2015 by ianwiese. It was filed under Nature and was tagged with Humpback.